FUZHOU, China, Oct. 24, 2018 /PRNewswire/ -- Pingtan Marine Enterprise Ltd. (Nasdaq: PME), (hereafter referred to as "Pingtan" or the "Company"), a global fishing company based in the People's Republic of China (PRC), today announced that the Company will soon complete the modification and rebuilding project for its 27 new fishing vessels. 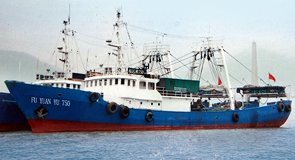 In April 2018, the Company announced its 27 fishing vessels have received approval from the Ministry of Agriculture and Rural Affairs of the People's Republic of China and were expected to operate in the international waters of the Indian Ocean after completion of modification and rebuilding. As to date, the first batch of 4 from these 27 new fishing vessels have completed all inspections and are expected to be put out to sea for operation in November, and the remaining 23 new fishing vessels will be placed to designated waters and put in operation in batches. 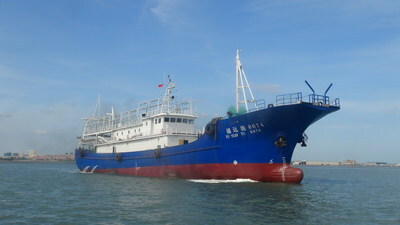 The service of these 27 new fishing vessels are expected to significantly increase Pingtan's total annual harvest capacity. 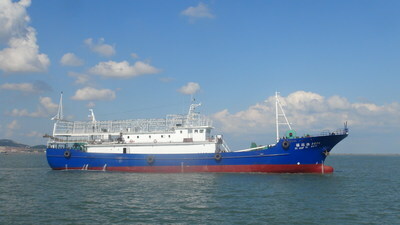 Mr. Xinrong Zhuo, Chairman and CEO of the Company, commented: "We are glad that the first batch of four modified and rebuilt fishing vessels will sail to the international waters of the Indian Ocean for operation in November and the remaining vessels will also be deployed in batches to the designated waters for operation. These modified 27 fishing vessels are provided with advanced technical equipment and tools, 7 of which are light luring seine vessels and 20 are large-scale squid jigging vessels. We expect that the service of these fishing vessels can enrich Pingtan's product mix while significantly improving our performance and enhancing our capacity of supply during the traditional sales peak season in the first quarter 2019." Pingtan is a global fishing company engaging in ocean fishing through its subsidiary, Fujian Provincial Pingtan County Ocean Fishing Group Co., Ltd., or Pingtan Fishing. This press release contains forward-looking statements that are subject to the safe harbors created under the Securities Act of 1933 and the Securities Exchange Act of 1934. Such forward looking statements include, but are not limited to, Pingtan's expectation of completing the modification and rebuilding of 27 fishing vessels and placing them in operation thereafter, and Pingtan's efforts and ability to expand into new fishing territories, increase production capacity, improve revenue, and promote the economic development of the international waters of the Indian Ocean. Readers are cautioned that actual results could differ materially from those expressed in any forward-looking statements. Although forward-looking statements reflect the good faith judgment of our management, such statements can only be based on facts and factors currently known by us. Consequently, forward-looking statements are inherently subject to risks and uncertainties and actual results and outcomes may differ materially from the results and outcomes discussed in or anticipated by the forward-looking statements. Risks include the ability to complete modification and rebuilding of vessels in a timely manner; ability to reach the international waters of the Indian Ocean; adverse weather or oceanic conditions or mechanical or other operational failure of the vessels; an unexpected dramatic decrease in production, operational, mechanical, climatic or other unanticipated issues that adversely affect the production capacity of the Company's fishing vessels and their ability to generate expected annual revenue and net income, actions taken by government regulators that adversely affect the Company's operations of its vessels and other risk factors contained in Pingtan's SEC filings available at www.sec.gov, including Pingtan's most recent Annual Report on Form 10-K. Readers are cautioned not to place undue reliance on any forward-looking statements, which speak only as of the date on which they are made. Pingtan undertakes no obligation to update or revise any forward-looking statements for any reason. Pingtan Marine Enterprise Ltd. (Nasdaq: PME) is one of the largest U.S.-listed marine services operating company in China.